This Taonga is named Uira kākāriki - Green Glow. It represents an inner glow of joy. We each contain an inner treasure of profound joy and happiness deep within our mind. It is sometimes hidden and sometimes manifest. It is one of our jobs to cultivate this inner glow of joy, nurture it, grow it, and enjoy its fruits. 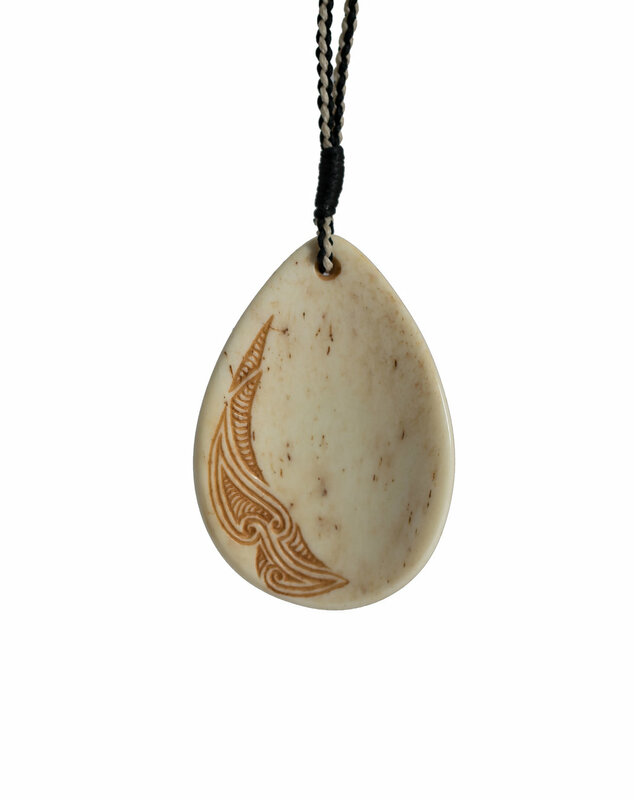 This carving represents the manifesting of this internal treasure and is symbolized by the large Pounamu inlay. The Pounamu has been blessed by the very esteemed Tohunga and kaumātua Rev. Maurice Grey. I am very fortunate to be able to use this special medium. This is also symbolic of carrying the treasures of compassion and wisdom within this journey of life. Around this inlay are various patterns representing the supporting conditions that help us to bring forth this internal peace and joy. These koru patterns are like the flow of a strong river returning to its source. Sometimes there is the odd bend in the path, (Like what is seen at the bottom of this pattern) but in reality, this adds to the richness of the story and tapestry of our life. On the back of the carving is a symbol that shows the raising of our energy levels. There are three koru embodied in this design and they represent a blessing upon our body, speech and mind.